Posted on February 17, 2017 by Anastasia R.
With its huge diversity in fruits and culinary delights, Colombia has got to offer some of the exquisite cuisines and unique delicacies that are sure to tickle your taste buds. Most of the dishes are basically a blend of indigenous and European ingredients, including rice, corn, beans, chicken, potatoes and pork. 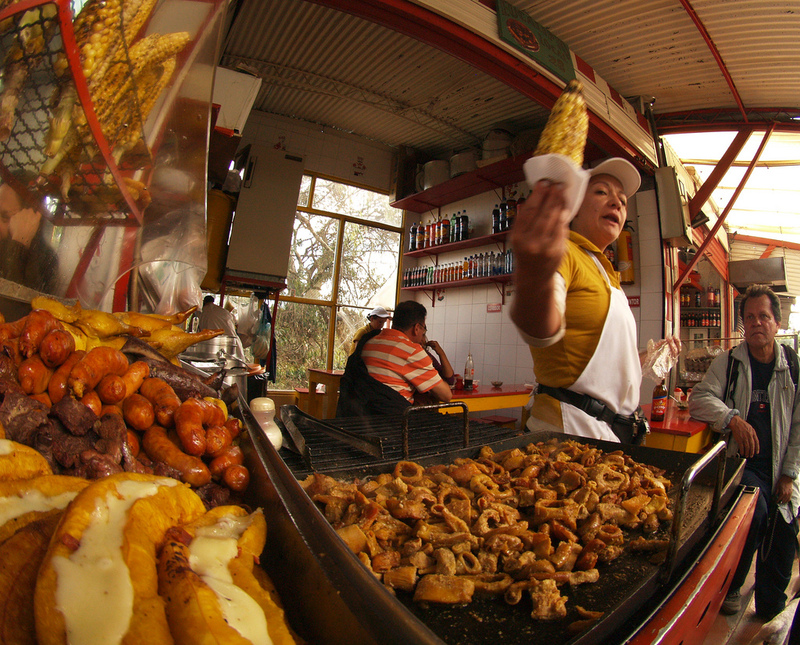 Here are a few local traditional dishes you shouldn’t miss when you are in Colombia. 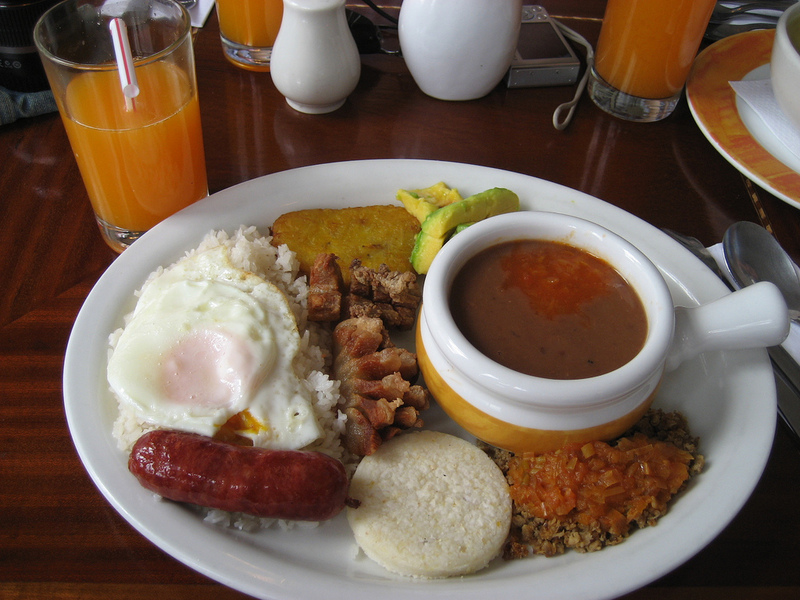 Bandeja Paisa is widely recognized as a traditional dish not only in Colombia, but also across the world. The ingredients include chicharron (fried pork rinds), avocado, blood sausage, chorizo, ground beef, rice, a fried egg and beans. Although, you can find this luscious cuisine in all parts of the country, the best one is prepared in the Coffee Zone. Head towards the coastline to experience some of the best seafood in the whole of Colombia. The Caribbean coast has got to offer some amazing mojarra, robalo (sea bass) and pargo frito served with plantains and coconut rice. You can also grab some jumbo prawns, lobsters as well as the famous seafood soup, cazuela de mariscos. 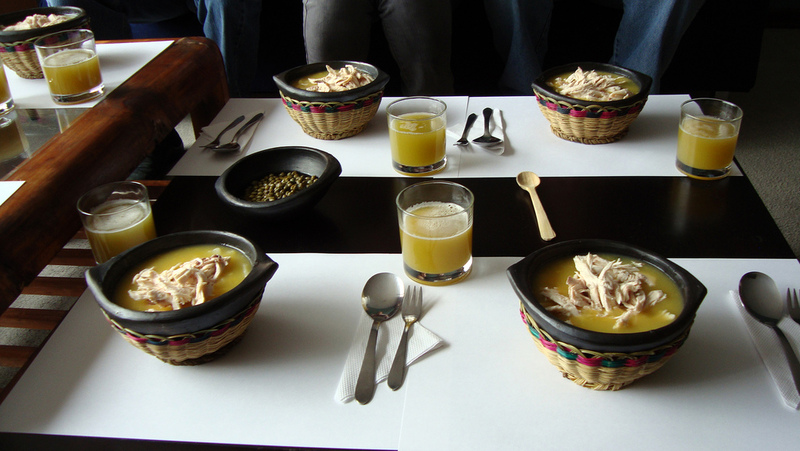 Served in the departments of Cundinamarca and Boyaca, Ajiaco is a popular traditional soup that originated from the Bogota D.C. The recipe includes yellow papas criollas potatoes, guasca leaves, corn and chicken. The thick consistency of the soup is because of the melted yellow potatoes. A bowl of this soup is eaten with a spoonful of table cream (crema de leche), some white rice, capers and avocado. Found especially in the departments of Bogota, Boyaca, Cundinamarca and Tolima, Lechona is a traditional dish that is basically prepared by stuffing a pig with spices, peas, potatoes, onions and rice followed by roasting the entire thing for several hours until it’s tender and juicy. Once prepared, small portions of meat are sliced and served with the stuffing. You’ll find this savory dish mostly in the Bogota restaurants and markets, as well as other parts of the country. More specifically a class of food rather than a dish, Fritanga refers to an assortment of fried animal parts which include pork rinds or chicharron, blood sausage (morcilla), chorizo, and fried cow or pig intestine chunchullo. These parts are followed by baked or fried plantain, small yellow potatoes and the Colombian corn cakes, white arepas. You can find a lot of these on the streets of Bogota, and in a number of restaurants across the stretch. Try some gourmet fritanga at the restaurant Fritanga Gourmet in the Usaquen region of Colombia. Do you ever feel like missing the good old local dishes of Colombia that you used to have back in the time when you were in home? If you are a Colombian working abroad, it’s totally explicable to understand how much you miss your family and friends. What you can do right now is to send money instantly to your loved ones in Colombia, and let them know you care. For more information on how to get this done, visit Sharemoney!